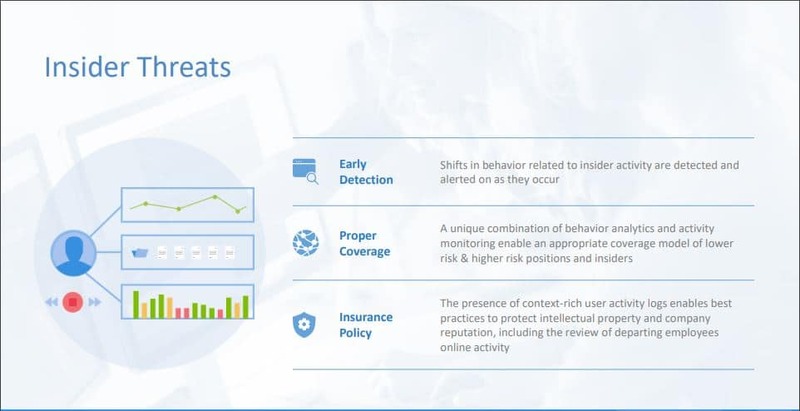 Veriato 360 is the most widely deployed and used employee monitoring solution in the world. 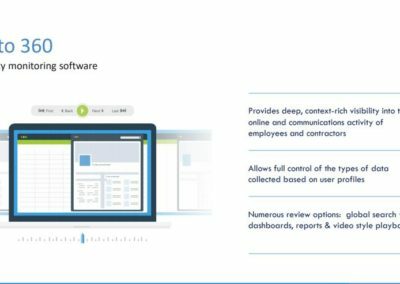 The software captures accurate, detailed information that shows exactly what your employees and contractors are doing with the resources, and accesses that you provide to them. You control what data is collected, and when the collection takes place. 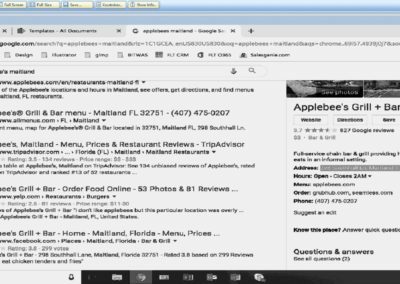 You control who can review the data, powerful alerting, reporting, and search capabilities are designed to minimize the time spent looking for answers, and DVR-like playback eliminates gray areas. 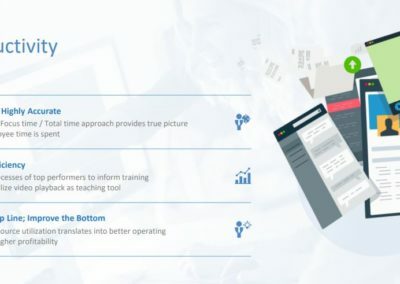 As a result, whether you are seeking greater visibility to help you improve productivity, conduct a critical investigation, or make sure your important data is safe. 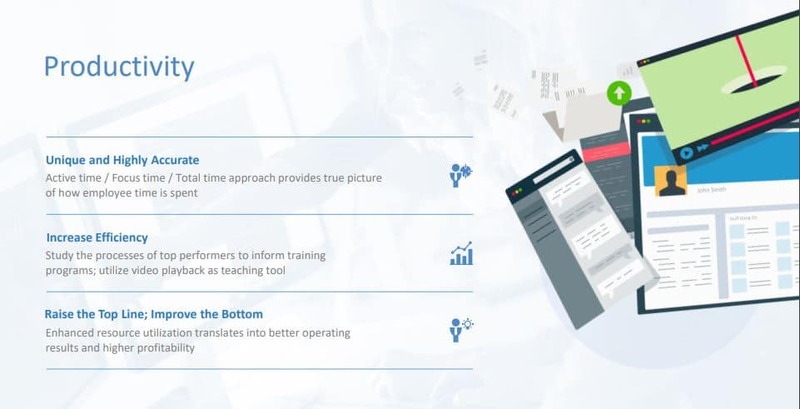 Monitor & analyze data on people and behaviors inside your organization. Create alerts from keywords, websites, data transfers, and more. 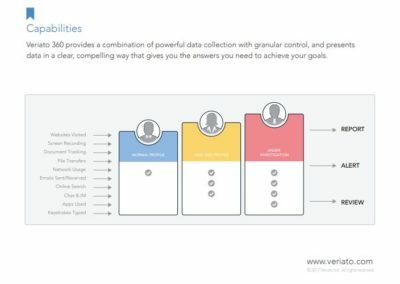 Veriato has more than 15 years providing powerful, reliable, and usable reports, alerts, and visibility into employee and contractor activity. 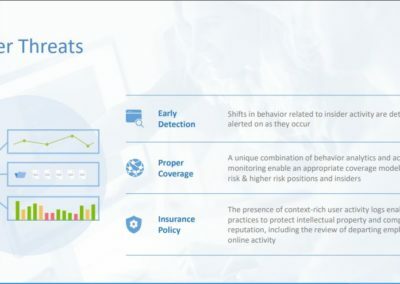 The pc monitor collects data on online and communications activity, enabling you to gain a complete picture of an employee’s actions, and the context they occurred in eliminating the gray areas. 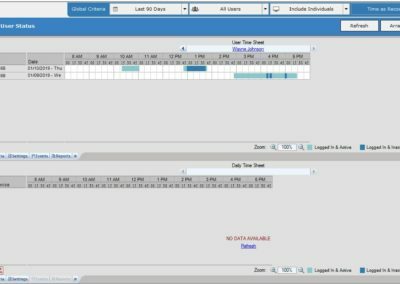 As a result, the scheduled reports and a comprehensive alerting capability minimizes the time spent in the console, while delivering the visibility and protection your company needs. 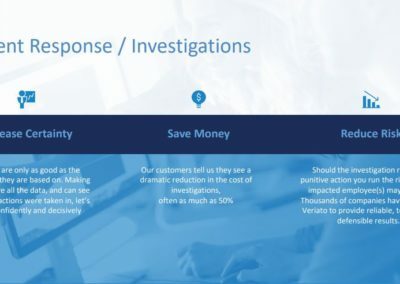 “We are a small business and we used Workplace Monitor to view the activity of one employee who was suspected of spending a lot of non-work related time on the internet while complaining that she was overloaded with work and could not keep up. 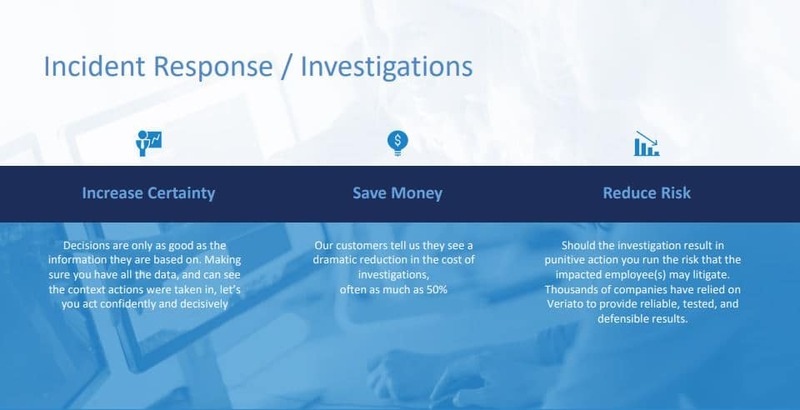 This software helped us get to the truth which saved us from hiring unnecessary extra staff which would have been a financial hardship for us. It also saved us from paying overtime to an employee for “working through lunch” who was actually sitting at her desk during lunch playing computer games and shopping on Amazon. We do not have a rigid environment and don’t prohibit employees from using the internet for personal use, as we realize that is unavoidable in today’s world. But sometimes it becomes necessary to determine whether an employee is abusing the privilege and costing the company. 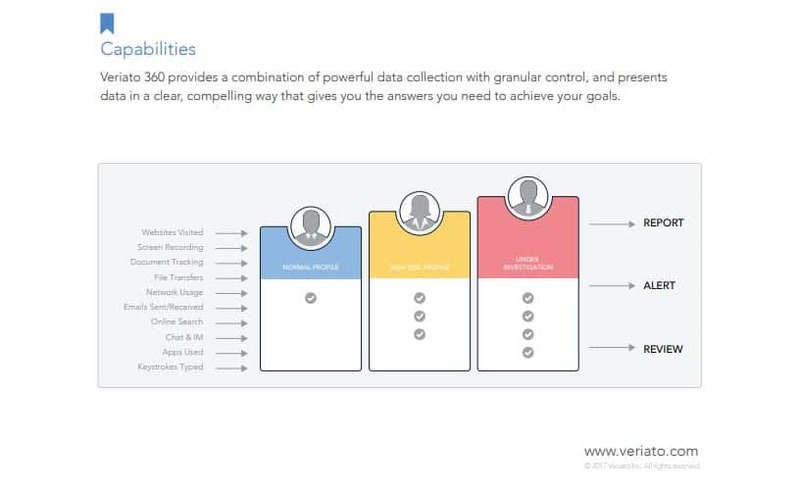 Veriato 360 is easy to set up and the user interfaces are very user-friendly. It records user activities and notifies the administrator when an event has been caught. 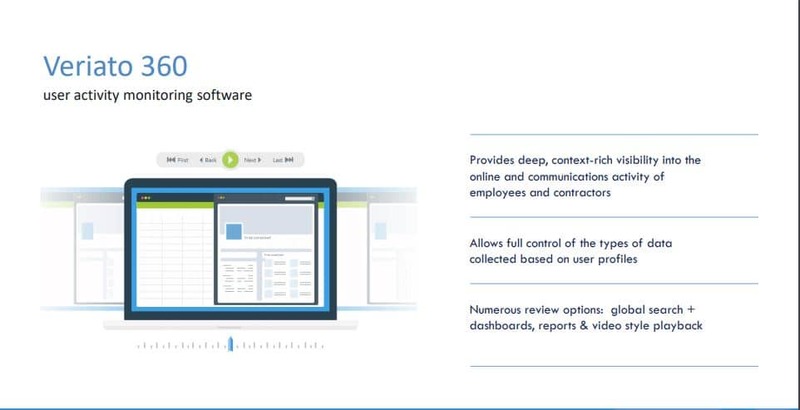 This is a great employee monitoring software I think every company should have as parts of their security plan.